The U.S. Department of Agriculture issues specialized debit cards to Supplemental Nutrition Assistance Program benefits recipients. Although the data that USDA gathers under SNAP are not quite so rich and revealing as those collected by private credit- and debit-card issuers, they do include commercial information about the retail grocery stores at which SNAP recipients purchase their groceries. The Argus Leader newspaper (based in Sioux Falls, South Dakota) requested this data under the Freedom of Information Act to further its investigative reporting into SNAP-related fraud. Its appeal of USDA’s denial of its request landed twice in the U.S. Court of Appeals for the 8th Circuit before reaching the Supreme Court, where the justices will hear oral argument on April 22. FOIA establishes a broad public right to request records from executive branch agencies for the very reason that the Argus Leader sought the SNAP data — to hold government and its regulatory and service provision programs publicly accountable. But the right that FOIA establishes is checked by several broad exemptions upon which agencies can rely to withhold from the public certain classes of information. FOIA Exemption 4 allows the government to withhold certain records that private entities and individuals submit to administrative agencies: “trade secrets and commercial or financial information [that is] obtained from a person and [is] privileged or confidential.” The 8th Circuit held that under its prevailing test, this exemption for “confidential” commercial or financial information did not extend to the SNAP data, and that therefore USDA was required to disclose it. The 8th Circuit’s test originated in the U.S. Court of Appeals for the District of Columbia Circuit’s 1974 decision in National Parks & Conservation Association v. Morton — a decision that a vast majority of the federal circuit courts of appeals also follow to some degree. The 8th Circuit applied the second prong of the National Parks test to USDA’s decision to withhold in order to determine whether FOIA Exemption 4 applied to the SNAP data. (The first prong applies to information willfully submitted to the government, the second to cases like Argus Leader in which the information is submitted or, in this case, captured, without the submitter’s consent.) In doing so, the appellate court required — again in language taken from D.C. Circuit precedent — USDA and the affected grocers to demonstrate “substantial harm” by showing “evidence of actual competition and the likelihood of substantial competitive injury” from disclosure. Following its most recent loss in the district court, USDA agreed to disclose the relevant documents and is no longer a party to the case (although the U.S. solicitor general has filed an amicus brief in support of the petitioner). Instead, Food Marketing Institute, a trade and lobbying group that represents grocers, has proceeded with the appeals as an intervenor. FMI’s position enjoys the support of a number of business groups (including the U.S. Chamber of Commerce, which has also filed an amicus brief), who hope to persuade the Supreme Court to overturn National Parks and to substitute a broader meaning of Exemption 4 that would allow agencies to withhold more privately generated financial or commercial information from the public. FMI argues that National Parks does not comport with the plain meaning of “confidential.” Citing a panoply of dictionaries and the ordinary understanding of the term, it asserts that the term applies broadly to any information that is private and not publicly disclosed. Instead of focusing on plain meaning, FMI argues, the D.C. Circuit in National Parks wrongly relied on FOIA’s purpose and legislative history to develop its more stringent “substantial harm” standard. Insufficiently related to the text and confusing to lower courts — circuits apply its speculative standard of “likely” and “substantial” competitive harm in somewhat distinct ways — National Parks comes from a different jurisprudential era, FMI suggests, one that the Supreme Court (and especially its more conservative members) has abandoned. 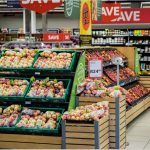 By making Exemption 4’s test consistent with its text, the Supreme Court would allow USDA to withhold retail-store-related SNAP data, which, the trial record shows, grocers attempt to keep private in order to protect their competitive advantage. FMI’s position has the likely support of Justice Clarence Thomas, who in 2015 advocated for the court to review and overturn the National Parks test in his dissent from a denial of certiorari in New Hampshire Right to Life v. Department of Health & Human Services (which only Justice Antonin Scalia joined). But in the event that a majority affirms National Parks, FMI offers an alternative test for “substantial harm” to the D.C. Circuit’s “evidence of actual competition and the likelihood of substantial competitive injury” standard: a showing of reasonable possibility that disclosure would harm, at least to some degree, the grocers’ competitive advantage. In reply, the newspaper argues that “confidential” in Exemption 4 means something narrower and more technical than the dictionary definition. Citing judicial constructions of the term in other contexts, including most prominently in the first Restatement of Torts’ treatment of business torts like unfair competition, the newspaper asserts that the term does not merely refer to the subjective treatment of information. A subjective test would allow a business to claim virtually anything it has not made public to be exempt from disclosure under FOIA; rather, the newspaper argues, “confidential” refers to information that by its nature would, if disclosed, cause competitive harm. Like the category of “trade secrets,” with which it is linked in Exemption 4, “confidential” has a distinct legal meaning and requires a substantial, objective showing that harm is likely to follow from disclosure. More significantly, the newspaper maintains, “confidential” must be understood within its statutory context. The Supreme Court has long construed FOIA’s exemptions narrowly to advance Congress’ statutory intent in FOIA to open the government to public view. Now 45 years old and adopted by the vast majority of circuit courts, the National Parks test enjoys substantial precedential weight and is consistent with FOIA’s purpose. In the meantime, Congress has amended FOIA many times, including twice this decade, and has included language and references to Exemption 4 in dozens of other statutes. Never having used its ample opportunities to overrule National Parks, Congress has not just acquiesced to the “substantial harm” test, the newspaper argues, it has ratified it. The newspaper also challenges FMI’s standing to appeal as an intervenor — an issue that had not been raised in the courts below, in large part due to USDA’s decision to abandon the appeal the second time the 8th Circuit heard the case, leaving the intervenor FMI as the only party still seeking to refuse discovery at a late stage of the litigation. The newspaper claims that the grocers’ injury could not be redressed by a favorable ruling because FOIA’s exemptions are permissive and do not require an agency to withhold records — and USDA had previously agreed to release the SNAP data. Even the solicitor general in his brief supporting FMI conceded the case’s “extraordinarily atypical” procedural posture and argued in favor of FMI’s standing only “under the circumstances of this case.” As FMI notes in its reply brief, the circumstances – which include the government’s participation in the litigation for years, as well as the existence of an additional provision within the SNAP statute that may not permit disclosure – are indeed tangled if not unique for an Exemption 4 case. The Supreme Court might not address standing, but the justices may find the need to order additional briefing if they want to pursue the standing issue, given the novel and complex posture of this case. If the Supreme Court does reach the merits, the case’s stakes run the gamut from the parties’ narrow dispute over the disclosure of relatively blunt debit-card data to the broader question of how much proprietary commercial or financial information agencies can refuse to disclose. But a merits decision also might indicate the direction that an increasingly conservative Supreme Court will take in interpreting FOIA. Congress has shown its willingness, regularly and on a bipartisan basis, to amend FOIA in the wake of narrowing Supreme Court interpretations and excessive executive branch secrecy. After all, Republicans and Democrats each love FOIA when they don’t control the White House. But a decision that protects private corporations’ information from disclosure may not produce the same dynamic. Republicans, and some Democrats, might embrace the broader interpretation of “confidential” that business interests favor, and the current congressional sclerosis could leave in place a new status quo that a business-friendly court establishes. The post Argument preview: Justices to consider meaning of “confidential” in Freedom of Information Act appeared first on SCOTUSblog.